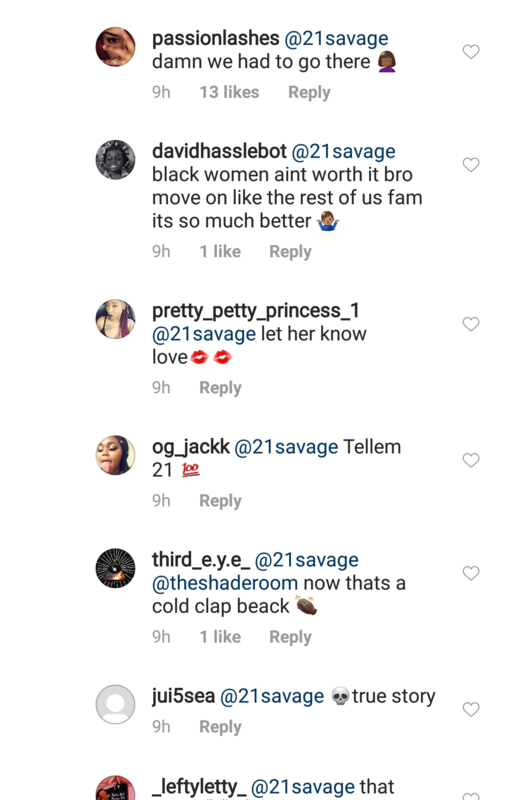 21 savage responded to someone on IG today. 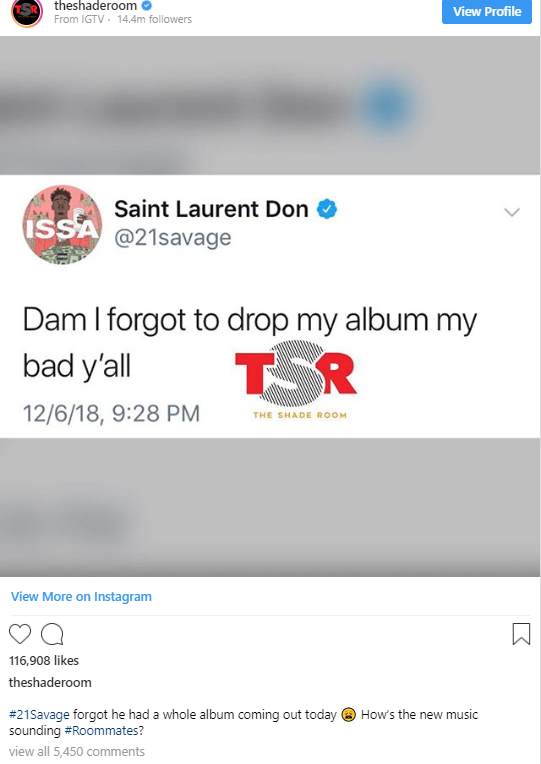 21 savage posted about his upcoming album “apologizing” to his fans for forgetting to drop it. 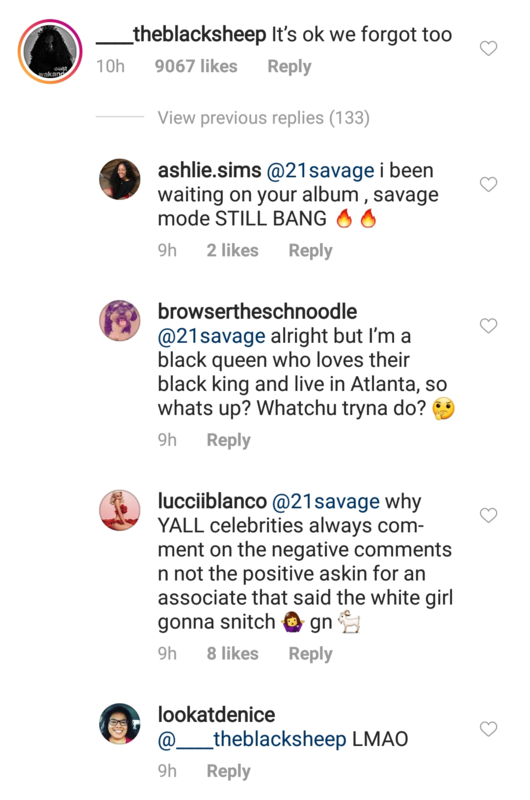 The comment the black women made, is always made by random people of every single race, people who don’t like 21 savage’s music, and other random people who aren’t black. 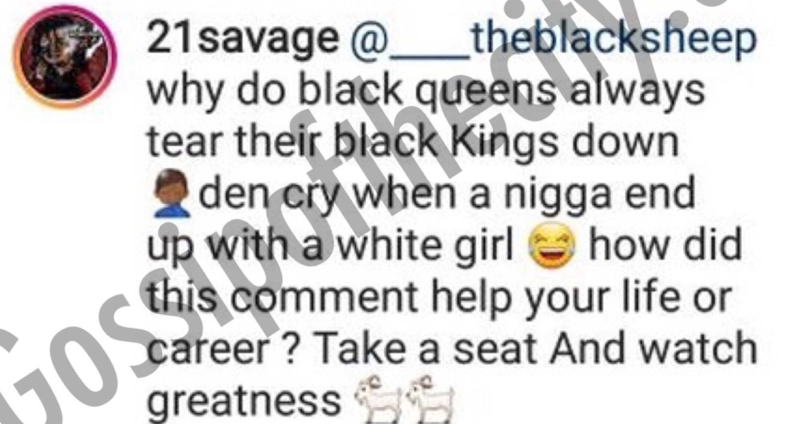 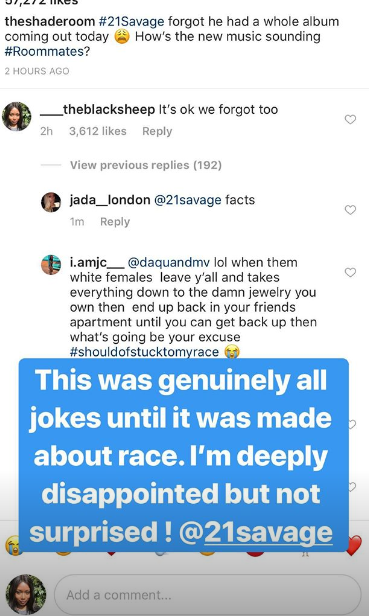 21 savage picked on situation where someone made a comment, targeted her race, then said black women tear black men down and expect black men to stay with them. 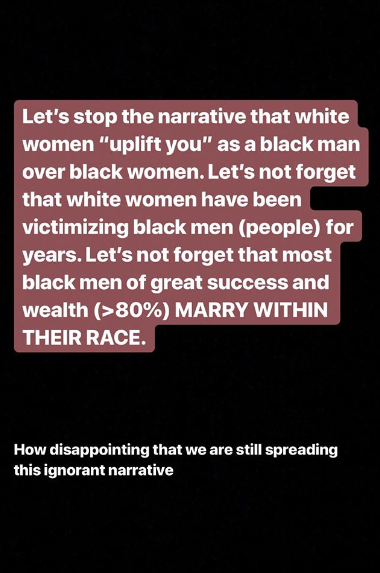 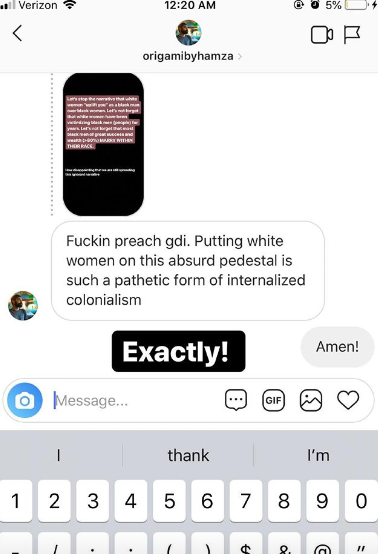 Which is really the sort of feeble weak minded logic that a lot of black men use to randomly put tear black women down, put them in a group of a situation that’s not exclusive to black women, and uplift white women, and women of other races while tearing black women down.